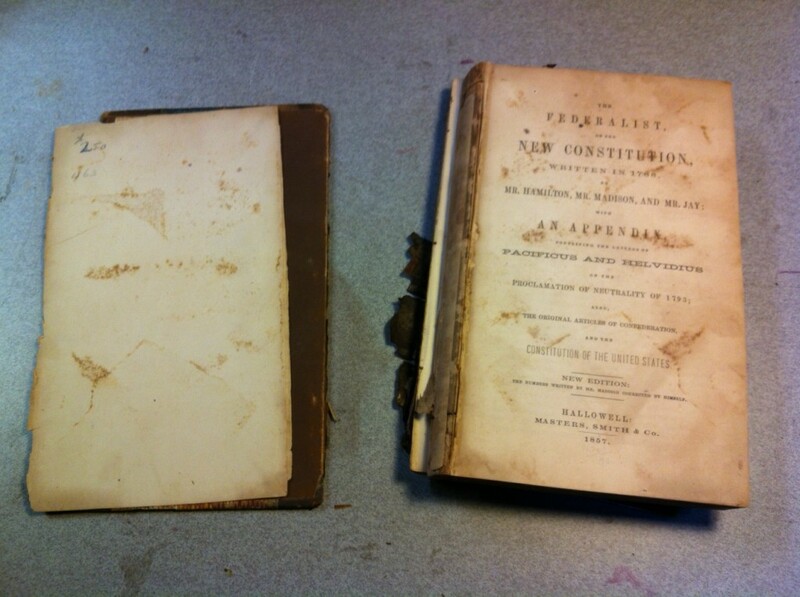 This copy of the Federalist Papers was in far worse shape than it first appeared. 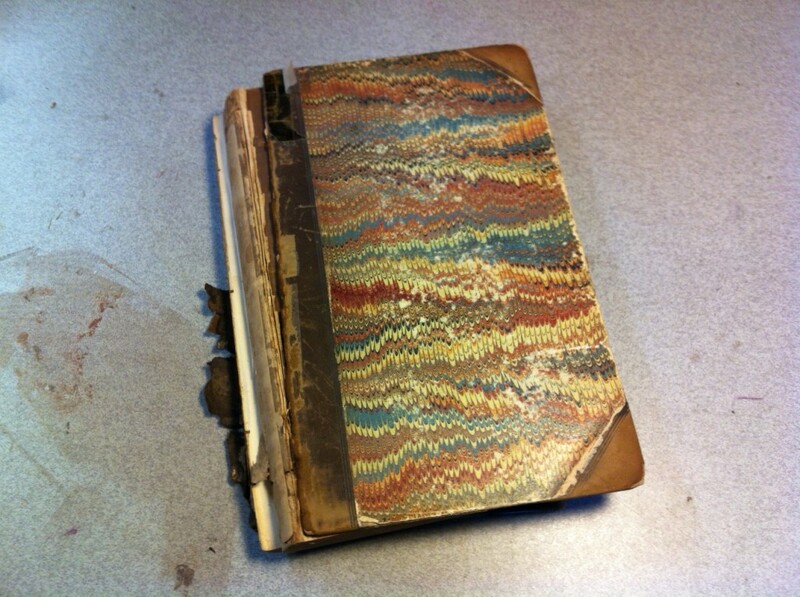 Not only was the original leather of the quarterbinding falling apart, the text block was broken in half. 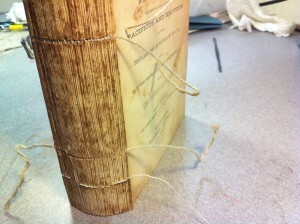 The original sewing thread was brittle and had snapped at multiple spots–it was going to require resewing. 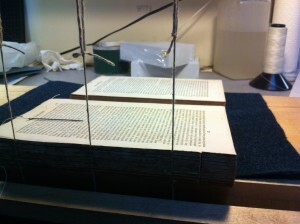 I pulled the book and resewed it two-sections-on onto new cords. 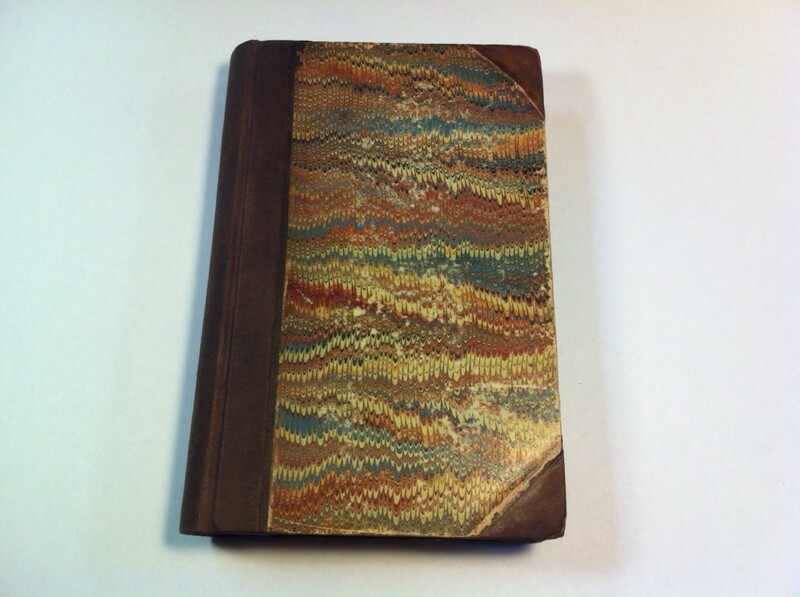 This technique reduces swelling by using about half the amount of thread you would use sewing it all-along. 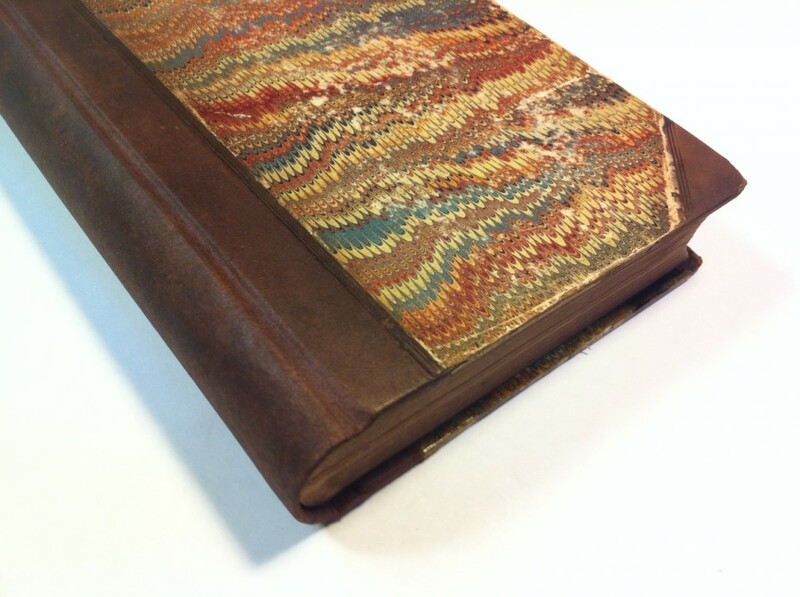 I made a new spine for the book using Japanese paper laminated with linen and dyed to match the original leather. 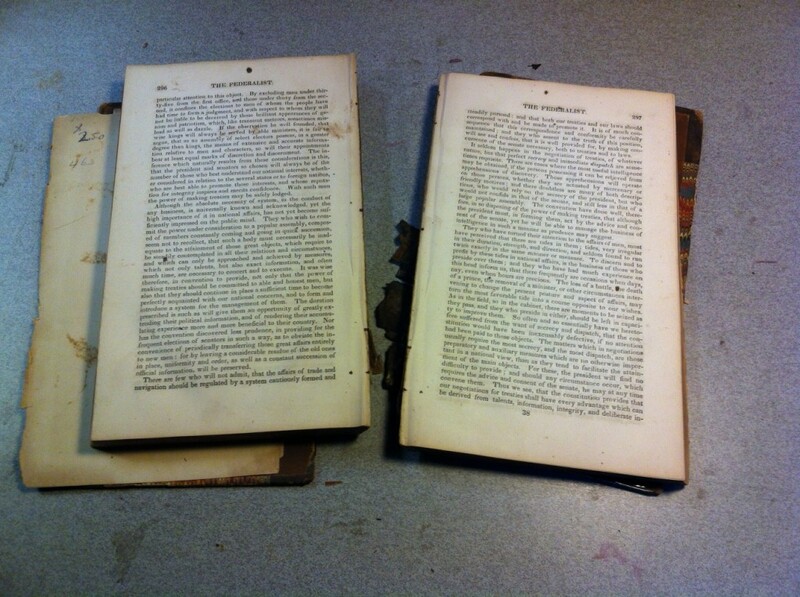 Instead of rebuilding the leather corners, I stabilized them with paste. 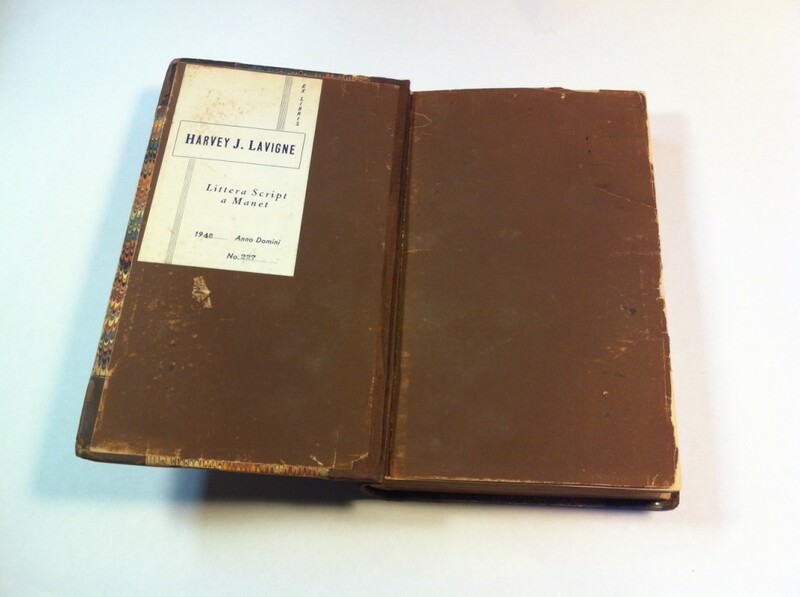 It was important to preserve the original pastedown because the client’s grandfather’s bookplate was glued there.